Hey guys, I hope you're all well? Today I'm going to help you get ready for Father's day with my Father's day gift guide. My gift guide is complete with various gifts that offers something for everyone, depending on their Dads personality - be that with a sense of humour or a love of fashion. There's something to meet everyone's budget, from a few pounds to a few hundred. Father's day is exactly a month today, June 15th. The Bluebeards Revenge are FHM grooming award winners of 2013 and in my eyes the manly version of Soap & Glory - they are full of witty humour and are not designed for girls or people with bum fluff. Bluebeard Revenge will have you looking tip top, groomed to perfection and smelling gorgeous - did I also mention manlier? 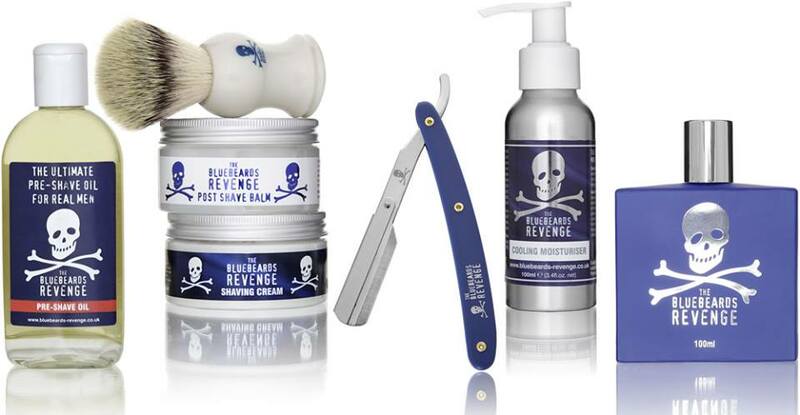 The Bluebeards Revenge are a premium range offering quality shaving and skincare products and perfect for those men in need of a good old 'manly' pamper. They have a great range of shaving and skincare products, with accessories (shavers, etc) as well as moisturisers and so on. 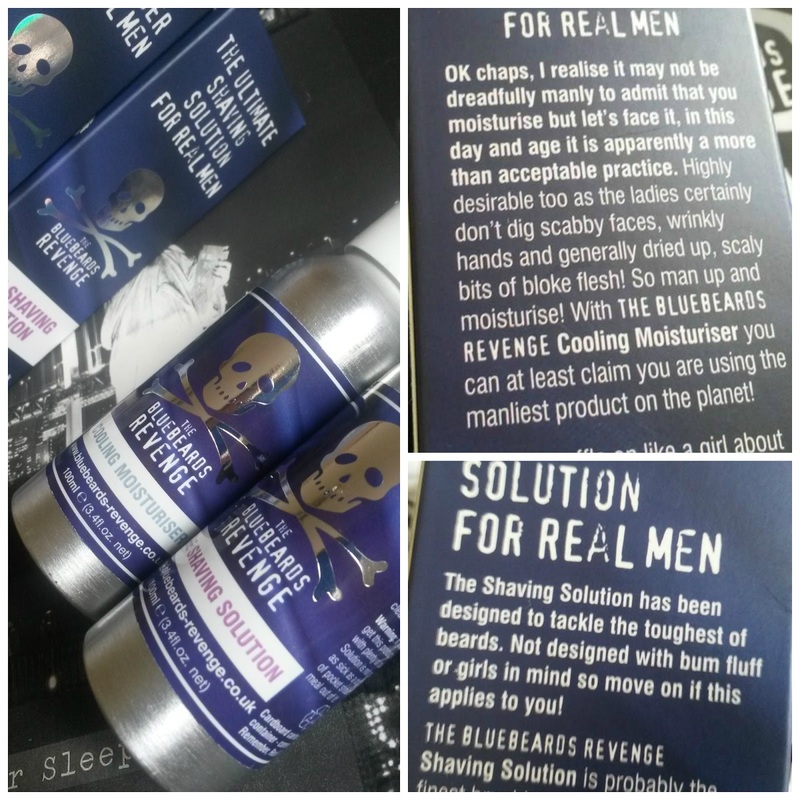 If your Dad, Grandad or child/children's Daddy are already fans of The Bluebeards Revenge Father's day is the perfect time to stock up, if they haven't already tried the brand they do a whole list of different gift sets including a a great starter kit - that I can't recommend enough to get started with. You get everything you need in one little kit for just £19.99. Hawkin's Bazaar are a fantastic little website that specialize in retro gifts, jokey presents and lots of other quirky things. I love nothing more then buying quirky little presents and forever having the last laugh when it comes to a jokey gift or two, especially since I was handed a Barbie in Frankie and Benny's for my 21st Birthday by my step dad - in return I blew loads of inflatable toys up and filled the front room, also gifting him with a pretty big inflatable monkey at his Birthday meal. 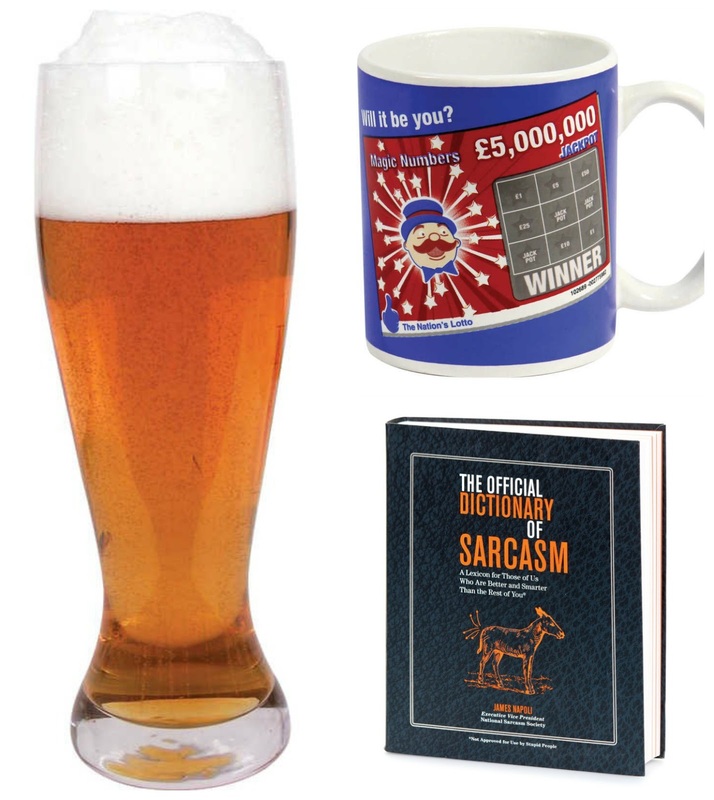 Hawkin's Bazzar have selection of fun filled, laugh out loud gifts that are quirky and cheeky. Above are three of my favourites; Beer Glass - £10.00. apart from my partner I don't know many men who don't like a pint or three, with this giant beer glass they can have two and half pints in one go without having to move a muscle. That should last them the whole football match, right?! Lottery Winner Heat Change Mug - £6.00. Okay, so the odd men in my life win the odd ten pounds on the lottery (if they're lucky), half the time they lose a few pounds putting the lottery on and winning nothing, now they don't have to moan, be an instant winner with every cuppa. The Official Dictionary of Sarcasm - £9.99. This is my number one favourite, I love nothing more then sarcasm and this is full of fabulous comebacks that will probably have you exploding with laughter - fantastic for the male joker of the family. Shop here. Guide London are for all the trendy Dad's in your life or for anyone in need of some stylish items. 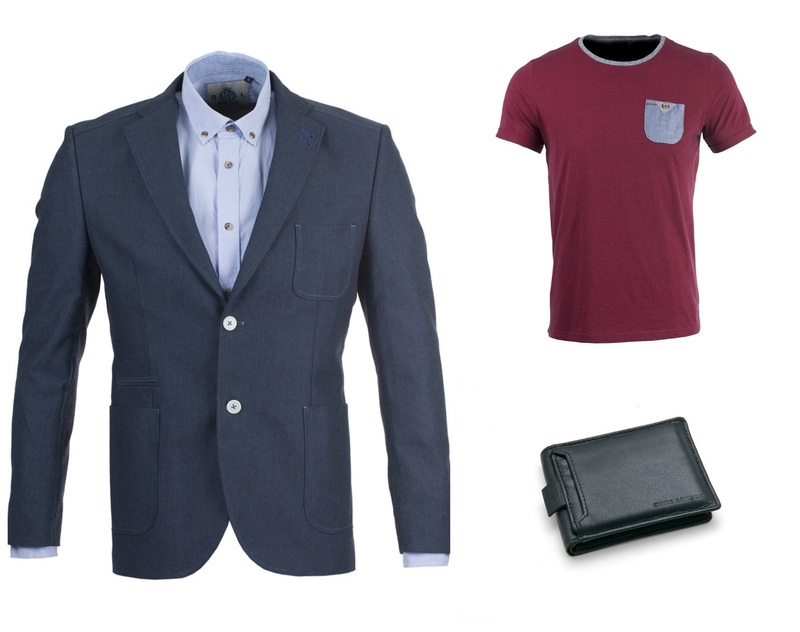 Across the site are stylish shirts, trendy blazers and great accessories. I love a man who makes a little effort with their appearance and the way they dress, I definitely love a man in a blazer and every man should own at least one - thought my Dad's and Step-dad's wardrobe doesn't bother me to much, it's the partner I'm more concerned about and he dresses fine, thankfully. Father's day is a time when wallets or the odd few t-shirts are given, Guide London have a fabulous selection of t-shirts that I love and hope you or your dad does too. Oxford Blazer - £150.00. Red T-shirt - £40.00 and Black Wallet - £30.00. Shop here. You will have seen on a number of occasions seen me mention my wonderful business advertiser on my blog. 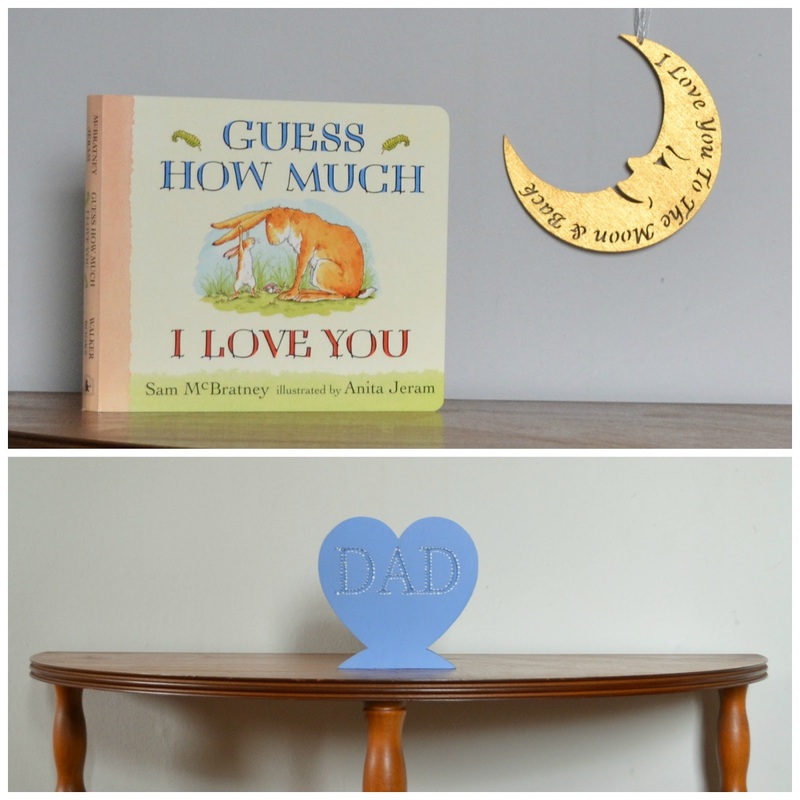 Jelly Bean home decor & gifts offer a range of personalised wooden home gifts and these are two that fit perfectly within my Father's day gift guide. For those of you with younger children these two wooden plaques - Freestanding engraved Dad heart - £9.00, and this lovely little moon with a sweet message that will melt your child/children's daddies heart. Shop here.